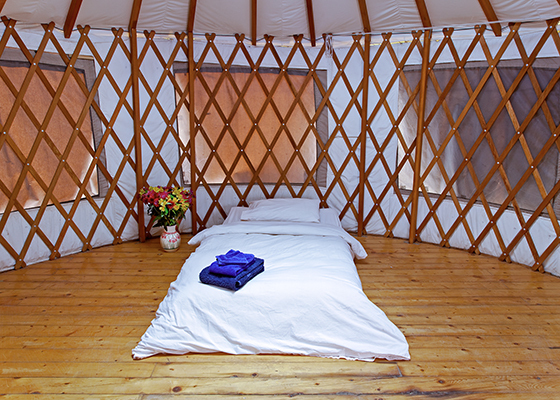 Located on the outskirts of our campus with views of the nearby 14ers, the Yurt has a deck, bookshelves, skylight and can accommodate one or two people. The Guest House bathrooms and showers are a 3 minute walk away. There is also a composting toilet nearby. The Yurt does not have electricity or heat. 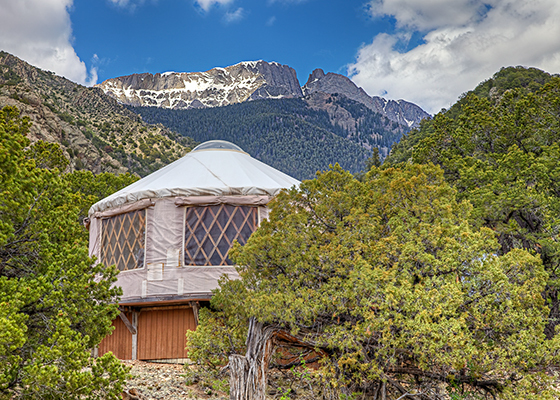 Starting in October it can become quite cold in Crestone and if you are interested in staying in the Yurt during the months of October – April please check overnight low temperatures in the local forecast.